All of a sudden I cannot playback in the sync map of tentecle studio. I tried to restart, re-import, update the software but the problem remains. Any suggestions? 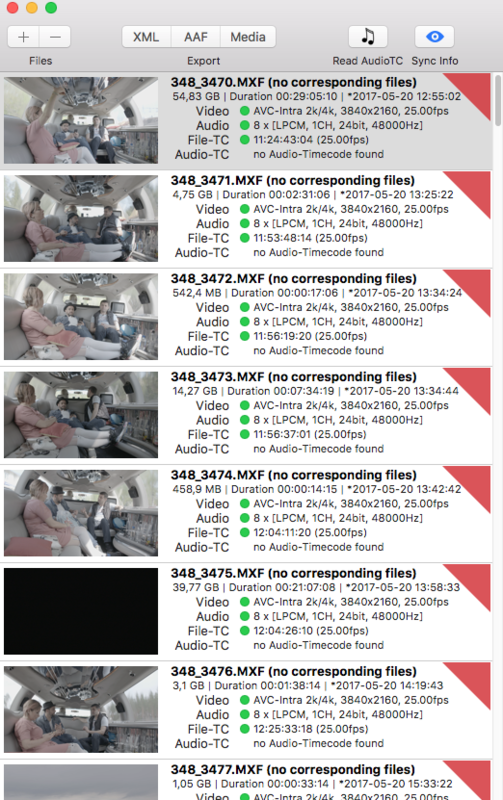 what kind of footage you are trying to sync (camera model and used codec type)? As always, a screenshot of the load in footage and sync-map does help. Does it make a difference if you switch on/off “keep camera audio”? Thank you for the swift response! We are using a Sony Fs7 and the MXF-codec . I should perhaps also clarify my question a bit: we have been filming for several days, each day has its own folder and timecode. 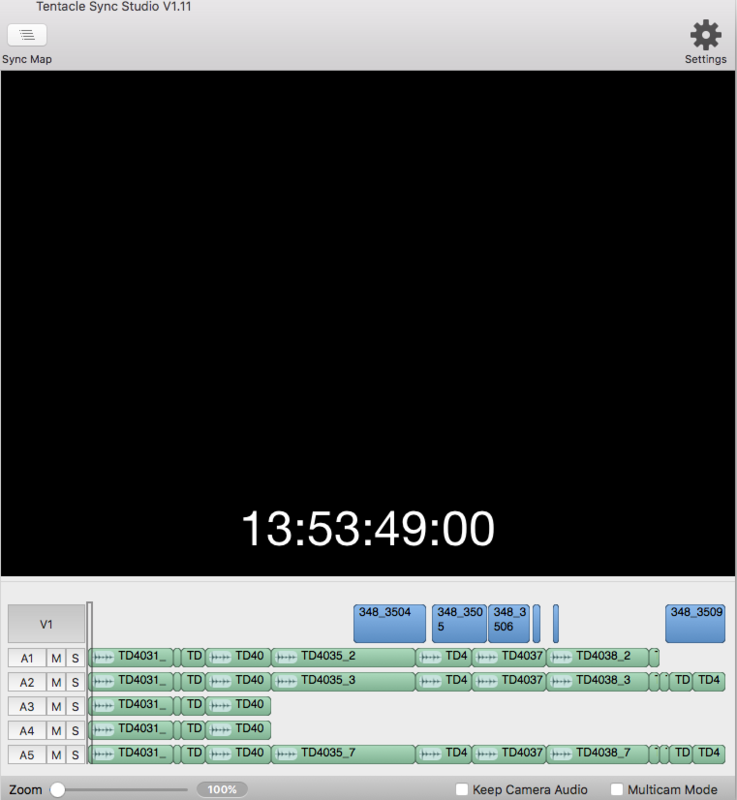 Some of the days work perfectly fine while others does not (No audio-timecode found). We have used the same settings through the whole shooting and are puzzled about how random it lines up in the sync. The reason for a black screen in Tentacle Sync Studio is not clear yet, does it also happen with only one FS7 file?